The unemployment rate was at 3.9% for August, while US job openings hit a record high in July of a seasonally adjusted 6.9 million openings. According to the NFIB, the National Federation of Independent Business, job openings are most prevalent in construction, manufacturing and wholesale trade. The tight labor market, one where there are more open positions than available workers, has been the main topic at business summits across the United States – from Oregon to Florida, and here in Wisconsin. What does this mean for businesses? It means businesses need to find ways to work smarter, not harder, and increase efficiency. A great forecasting system might be the solution. A forecasting system can increase efficiency in all areas of a company. This can mean profit increases due to having the ability to analyze and strategize as a result of time savings. Cost savings can be realized in production and in the warehouse due to the insights gained from a forecasting system. Salary costs can be reduced due to the efficiency of a forecasting tool. 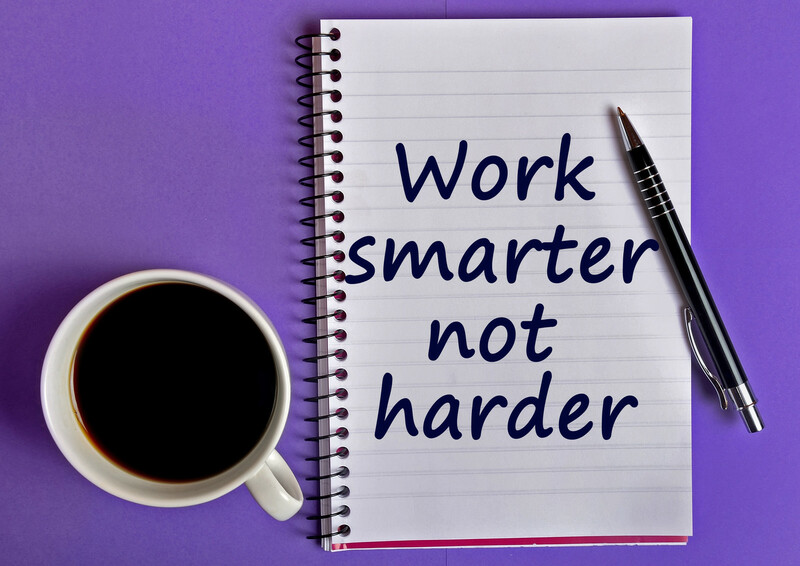 These benefits all add up to personal wins for employees as well – working smarter, not harder. These benefits are in addition to the increased profits resulting from more accurate sales forecasting and inventory control. Management and Finance – A forecasting system provides a financial roadmap for a company. Forecasts define the expected sales goals, inventory levels and profitability. When trends deviate from the roadmap, actions can be taken to get back on track to achieving company goals. Strategic decisions can be made based on what is working and not working. Forecasts help companies anticipate change, analyze results and provide efficiency in generating reports necessary for informed decisions. Production – A forecasting system enables the Production staff to plan their materials and workforce according to demand. Production can be prioritized based on the most urgent needs, resulting in operational and personnel efficiencies. Warehouse and Distribution – A forecasting system can determine demand of products and the warehouse staff can use this information to strategically place the best-selling items closer to the shipment dock to reduce steps and increase efficiency. It can also help improve receipt flow and forecast demand by week or day, enabling management to schedule accordingly and increase personnel efficiency. Sales – By using a forecasting system, the Sales Force can quickly gain insights from the data and gain an advantage over the competition. Reports can be generated efficiently, giving the sales department market information they need. Human Resources – A forecasting system can provide efficiencies in so many areas of a company, resulting in labor cost savings. Business Analysts and Planners – A forecasting system greatly impacts the job of a Business Analyst or Planner, especially if they had been forecasting and planning using spreadsheets. The forecasting system brings all the vital data into one location, so there is no more wasting time collecting the data or manipulating formulas in the spreadsheets. Reports can be compiled and generated at a click of a button. Trends can be caught more quickly, so that opportunities can be capitalized on and problems can be contained. At [basic-code]™, we have seen companies achieve increases in their efficiency levels by using our forecasting system. Prior to working for the company, I used the Sales Analysis and Forecasting Tool© when I worked as a Planner. It was a game changer for me. I gained confidence because I knew I was making the best decisions I could because I had all the data needed. I actually had time to analyze the business because of the efficiency of the tool, resulting in key assortment adjustments and increased profitability. I was able to get reads on trends much faster and pivot more quickly. Since the system uses Exception Reporting, I could concentrate on the priority items. I experienced greater job satisfaction because I was efficient and able to make the best decisions for the business. [basic-code]™ enabled me to work much, much smarter. I even gained more hours away from work due to the efficiencies of the tool! As the labor market continues to be tight, companies must find ways to be more efficient. The Sales Analysis and Forecasting Tool© from [basic-code]™ may be just the answer your company is looking for. Contact us today though our website: www.basic-code.com.